There was one (boys) team that was maybe a bit obnoxious. 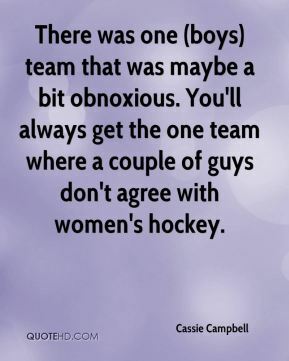 You'll always get the one team where a couple of guys don't agree with women's hockey. They were crazy about it. It's like we were soccer stars in Italy. 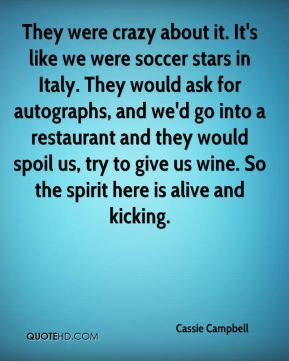 They would ask for autographs, and we'd go into a restaurant and they would spoil us, try to give us wine. So the spirit here is alive and kicking. 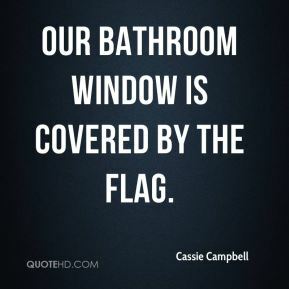 Our bathroom window is covered by the flag. The people there were just awesome. It's like a 5,000-person town and we had 2,500 people come out for the game. They had scarves in the windows saying Welcome Canada. 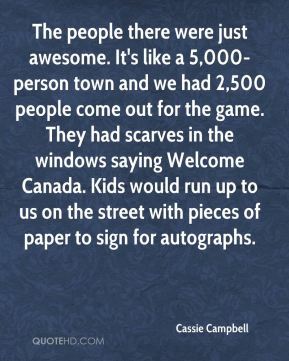 Kids would run up to us on the street with pieces of paper to sign for autographs. 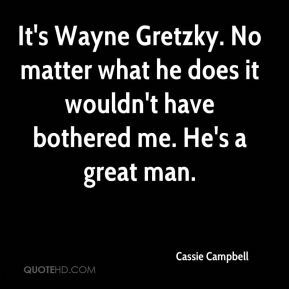 It's Wayne Gretzky. No matter what he does it wouldn't have bothered me. He's a great man. It's a passion these girls have and our staff has and Mel (coach Davidson) has for the game I think no other country understands yet. We're born with hockey sticks in our hands. When they get a taste of winning like we've had, they'll understand what we do on a regular basis. 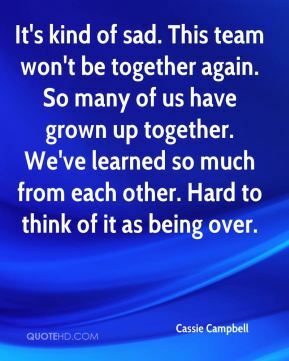 It's kind of sad that the team won't be the same. 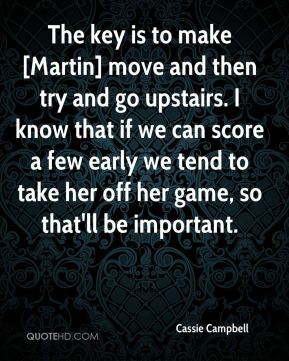 The key is to make [Martin] move and then try and go upstairs. 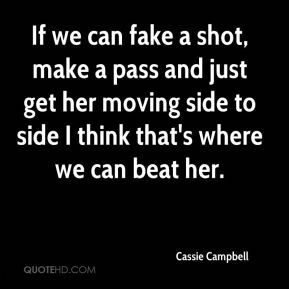 I know that if we can score a few early we tend to take her off her game, so that'll be important. 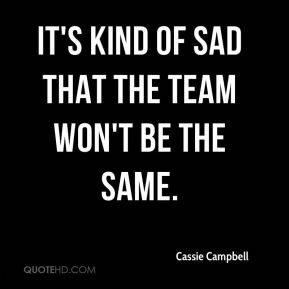 It's kind of sad. This team won't be together again. So many of us have grown up together. 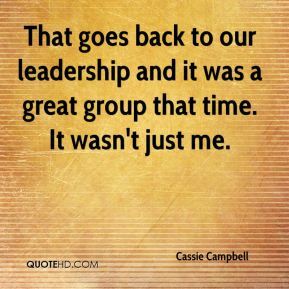 We've learned so much from each other. Hard to think of it as being over. 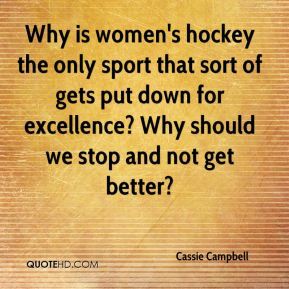 Why is women's hockey the only sport that sort of gets put down for excellence? Why should we stop and not get better?